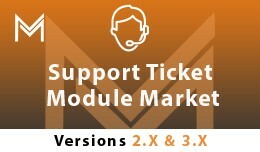 Support Ticket System is fully featured essential and must have extension for every Opencart store, that allows you to provide a complete customer care service and excellent support With this extension customer can raise the t..
•	Multilevel Accordion Category Menu (Up to 5th Level) •	Accordion category Full Controlled in Admin •	Unlimited Category & Child Category Color Scheme •	Parent & Child Category Design Setting in Admin •	800+ ..
Advance Discount Popup Features. •	Add Discount Popup Window in Every page of OpenCart Website. 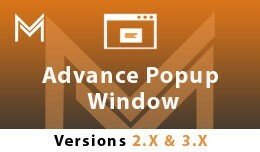 •	Advanced Discount Popup Full Controlled in Admin •	Mobile View (Enable/Disable) [Popup show on mobiles or not] •	Set the..
Slider Features •	Fully Responsive Slider •	CSS Transitions Effects for slide Animation •	Full screen Option •	Ticker Mode Option •	Slider Modes Horizontal, vertical, and fade. 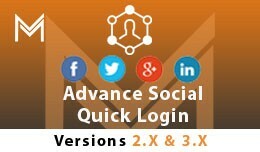 •	More Slider options Controlled by Admin �..
Facebook is the most popular social networking site these days. 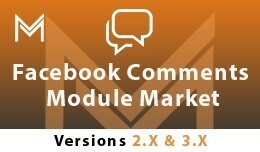 We recommend using a Facebook Comment module, which allows your customers to leave comments by logging in their Facebook accounts. The comments as well as the info..
Overview Customer Testimonial Extension collects reviews from your happy customers to make your store a trustworthy shopping place and improve conversions. It helps you display customers’ reviews on various website pages. Custo.. FEATURES. • Enable/Disable any Tab According to Need. 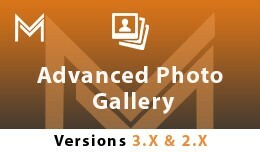 • Full of Awesome Features. • Multi Language and Multi Store Compatible. • All Theme Compatible. 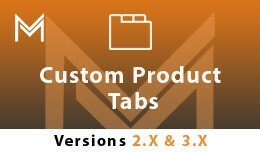 • Add Unlimited Custom tabs. 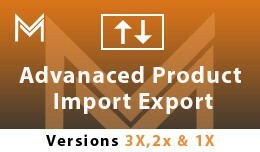 • Fully Customization f..
Advanced Product Import / Export extension bulk exports Products from Opencart and imports them into other Opencart installs. It provides an easy way to migrate/transfer Import data to another Opencart instance. This extensi.. FEATURES : •	you can Add Number of Albums •	Upload Multiple Images to Gallery Album •	Highly and Rich Fully Customization of Module in Admin Panel •	Two Types of Photo Viewer Available. •	Photo Zoom Option (On/Off) Acc..
•	Contact Form Detail Store in Admin. 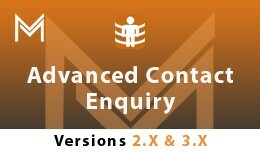 •	All Contact Form Data Export in Excel CSV Format. •	Contact Detail View, Reply and Delete option Available in Admin. •	Data Search According to Filter •	Reply History Sa..
Opencart Quick Social Login Extension is designed for quick login to your Opencart store without processing complex register steps Let say goodbye to the complicated registration process and ignore a lot of unnecessarily ..
Advance Social Login designed for quick login to your Opencart store without processing complex register steps. Let say goodbye to the complicated registration process and ignore a lot of unnecessarily required fields. Advan..
•	Add Social Icons in Every page of OpenCart Website. 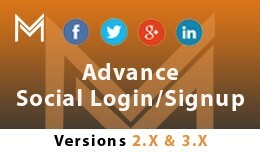 •	Advance Social Icons Full Controlled in Admin. 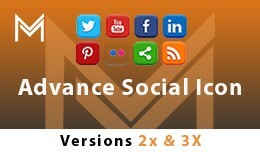 •	Social Icon (Enable/Disable) Options •	Social Icon Sorting Option in Admin. •	Custom Style Option View ..
•	Fully & Easy Customization in Admin Section. 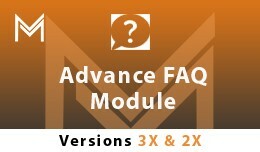 •	Rich Advance Features Available in this Module. •	Fully Responsive Design. 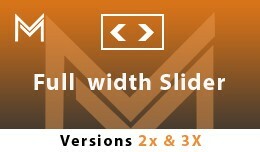 •	Show Videos, Maps, iframe and more Options in this Module. •	Multi-Language Supported. 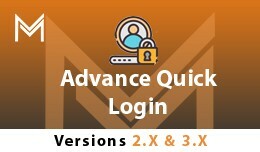 ..
•	Fully & Easy Customization in Admin Section. •	Multi-Language Supported. 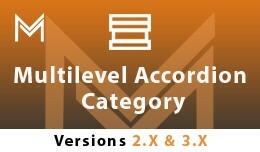 •	Multi-Store Supported. •	One Year Free installation support. •	Fast and Light Page load. •	No change in core files. •	Add a Number ..
Advance Age Verification is a very useful extension to verify visitors’ age if the sold products OR the displayed content is not suitable for children and people under age 18. 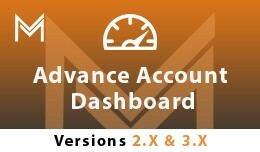 If user doesn’t verify the age then it wi..
Advance Account Dashboard Extension is work for change the Frontend Customer Account Section Design. this Extension Help you Change better design your Customer Admin according to your store theme & very easy & user friendly D..
Advance Account Dashboard (JOURNAL THEME COMPATI..